Whether you are buying or selling there are some things you can do ahead of time to be prepared for meeting with your agent. Maybe you haven't even nailed down an agent yet and are still interviewing. That's great! It's an important step to real estate because buying or selling a house is dealing with hundreds of thousands of dollars and you don't want to put that transaction in the hands of an amateur. 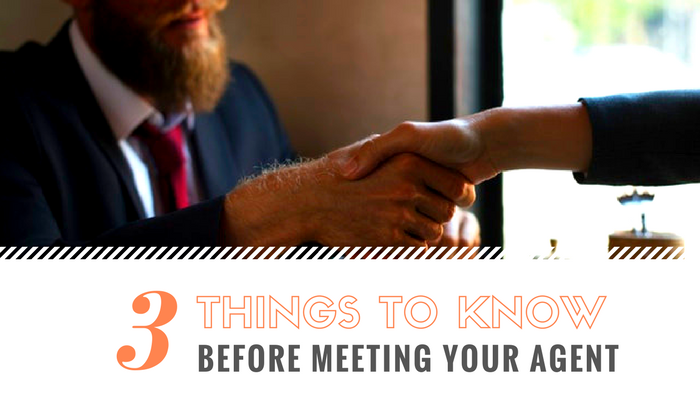 So, for this reason, here are 3 things to do before meeting a Realtor®. Sure, you can meet with an agent before knowing this but this step will make everything go much smoother. Find a lender or loan officer you like and trust and talk about your budget. You may want to apply with them to find out how much home you can actually afford. Knowing your budget can also help you plan for the future. You get to know your credit score, can have a chance to look at your credit report and history and change anything or correct any errors before meeting with an agent. Similarly, if you are selling your home, knowing what you will get out of it and how much it will cost to sell it is tremendously important and of course, most agents will offer this information on your first meeting. Don't just go with your cousin's husband's sister because she's trying to break into the real estate world. Go with an expert. Trust me on this one. Yes, everyone needs to get their start somewhere but again, you wouldn't hand over $400K to an amateur stockbroker. Don't do it with real estate. Get a reputable, reliable, and experienced real estate agent to handle your transaction. Ask how many deals they've closed in the last year and how long they've been in business. #3. Understand how commissions work. Remember, agents work solely on commission. No closed sale, no paycheck. If you work with a buyer's agent, keep that agent throughout the process. I can't tell you how many agents have worked with a buyer for weeks or even months, only to have that buyer write up an offer with a different agent. All the hard work that one agent has put in now gets rewarded to the other agent. The same goes for listing agents. I understand you may not like your agent but cut ties amicably if possible. Once you sign a contract with a listing agent, that agent typically has 6 months to sell the house. However the buyer finds the house, the listing agent should still receive half the commission, or however it's split up.